From sales to marketing to operations, you and your team will be more productive and increase profits with our powerful all-in-one catering software and systems. Restaurant catering systems founder Michael Attias took his 104-seat restaurant just outside of nashville, tennessee and built catering sales to over a million dollars a year. It Implements efficient catering operations, designs effective catering marketing systems and develops the ultimate catering software. Restaurant Catering Systems launches a new online ordering module. 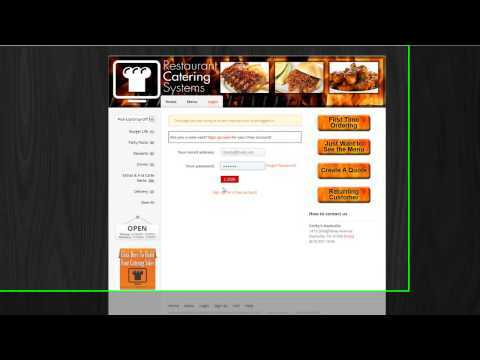 Make it easy for your catering clients to place orders with an interface branded for you.